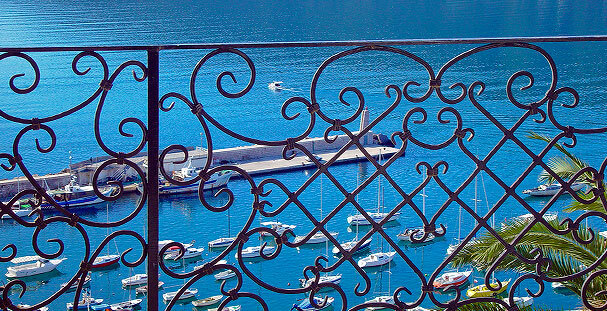 In order to get a better impression of the City Café in Herceg Novi, we offer you a free brochure on this symbol of the town. To be able to study the Brochure, you need Adobe Reader installed. In case you do not already have it, you may download it by clicking on the link bellow. 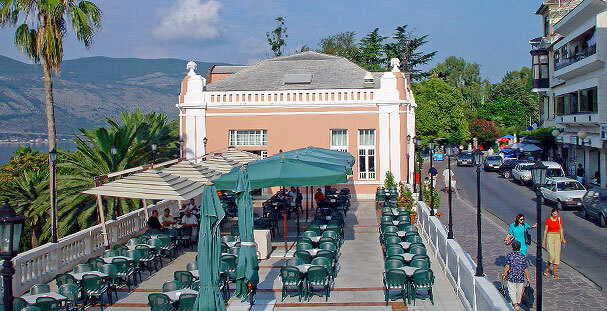 City Café is one of the symbols of Herceg Novi, six centuries old town located directly opposite the entrance to the Boka Kotorska Bay. It is indeed a unique example of Viennese Secession, in this region of the Mediterranean. 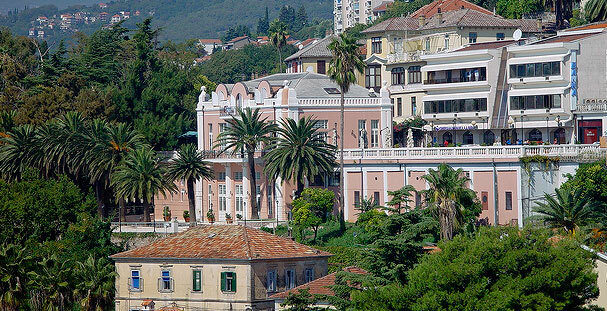 The object is owned by Imobilia doo Herceg Novi and after the reconstruction, the former Sokol Centre, then theatre, was given a new function – it has become the most frequented meeting place of the people of Herceg Novi and, of course, all guests and tourists. 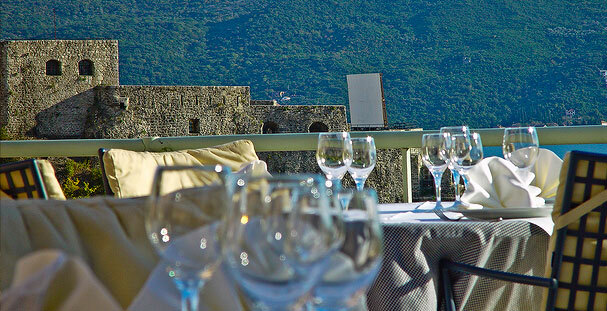 City Café is situated in the very centre of Herceg Novi, in the vicinity of the Old Town, on a dominating site above the town harbour, with an exceptional terrace from which one gets unforgettable view of the entrance to the Bay. At the same time, one part of the object is partly immerged into the lush greenery of the town park, century-old arboretum shaped in the beginning of the previous century. 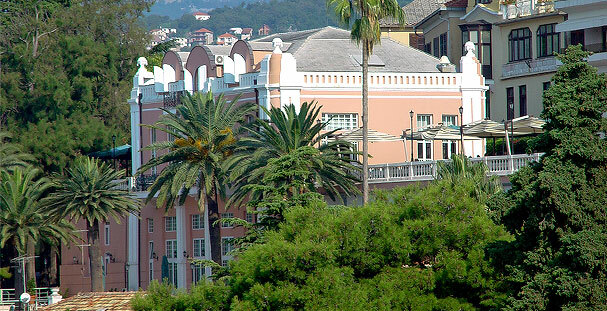 On the first level of the object is the restaurant Di Palma, with large terrace enhanced by century-old palm trees and view of the sea, harbour and Forte Mare, a medieval fortress on the shore. 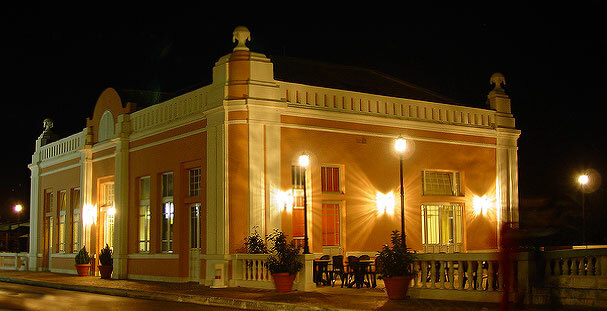 Above the restaurant is the Champagne Bar, an ideal place for organizing cocktail parties, business presentations and smaller exhibitions. 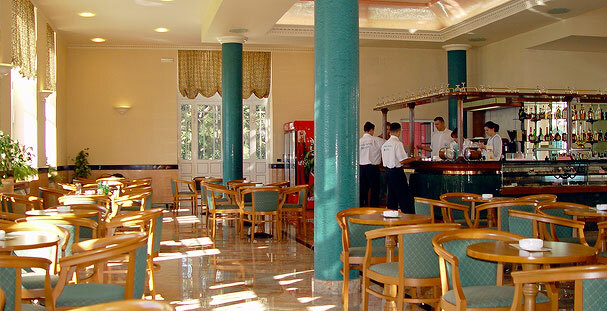 City Café is the central meeting place in Herceg Novi. It comprises two big terraces, located on the eastern, that is western side, and also a central balcony with several private nooks. 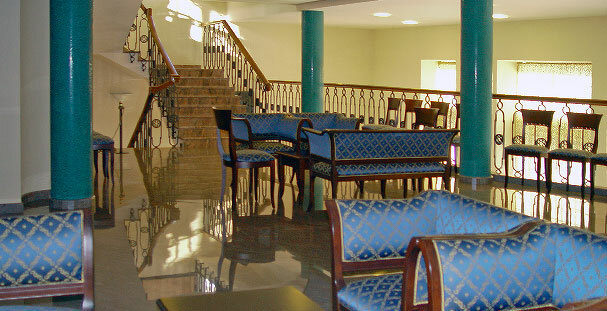 At any time City Café can serve approx. 1000 guests. 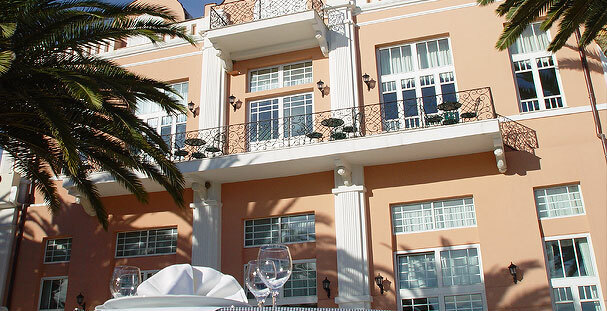 The object also has a Penthouse that is in accordance with the whole building furnished in luxurious style. The apartment has a large lounge with the door leading to the balcony, two bedrooms, a sauna, a large marble fitted bathroom, kitchen with a dining room. Company IMOBILIA is the owner of the object in which the City Café is located. The object is entirely equipped with modern catering trade infrastructure; from contemporary kitchen and accessory rooms, up to the storage. The first level of the object with the terrace has the surface of 1,121 m², Champagne Bar, with offices, pastry shop and accessory rooms has got 340 m², while the surface of the object where the City Café is located has the surface of 910 m². 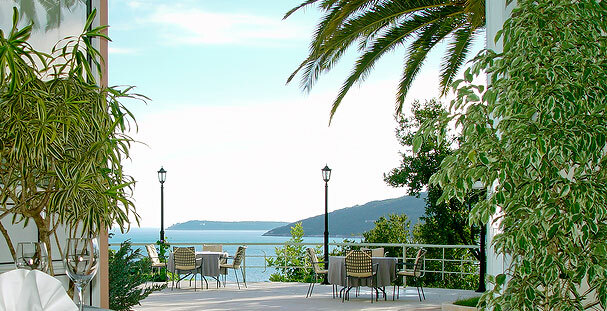 The apartment has the surface of 225 m² of the most attractive site in Herceg Novi. At the moment Imobilia has developed a plan for enlarging the activities in this object that shall provide even larger profit, and definitely shall become an attractive place in particular for the younger population. photo copyright© SFERAART | design SFERAART | webmaster NESSO | copyright© IMOBILIA doo 2009.